First I would like to thank you very much for all the arrangements for the travel package. The package was so good. The hotels were very good, comfortable and worth for the money. 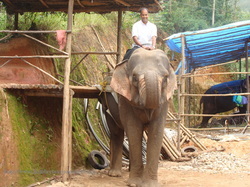 Driver Mr. Jiji was a nice person and very courteous and patient and we were very much comfortable throughout the tour. 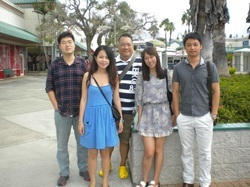 The house boat cruise (Aqua Melody) were very courteous and overall we liked the tour. We will recommend Global Vision Tour to our near and dear ones for sure. 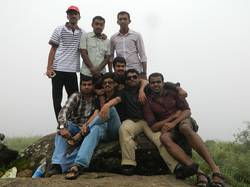 We had a very pleasant stay in our 8 D / 7N trip to Kerala, so thanks for all the arrangements. We want to especially mention Mr. Sunny Umman ( our driver), he was courteous and patient throughout the trip and he showed us all the places and made the journey very comfortable for us. 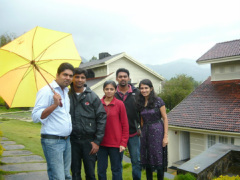 I was told it is monsoon season, but fortunately, we were blessed with a good weather throughout our trip. the houseboat team was very courteous. so, thank for global vision tours.. I congratulate the Global Vision tours for being so professional and would really want to thank you for everything. I really had a great time and it was very nice experience. 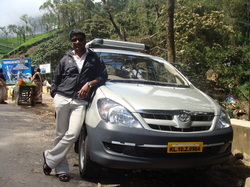 I would like to mention that the driver Mr.Murukan was very punctual and very helpful. I will recommend your company for my friends too. First a grate thanks to Global Vision Tours for a very good trip. 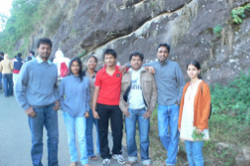 The Trip was well managed and your driver Mr. Murukan was extremely helpful throughout the journey. 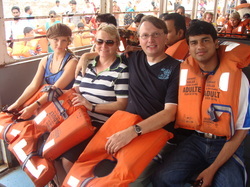 He has also got good relationship with the people where you have arranged our stay and therefore, very useful for us. Also, would like to thank you for the last minute change of adding Allepy house boat arrangement.